Calling all design-lovers, DIYers, makers and more! 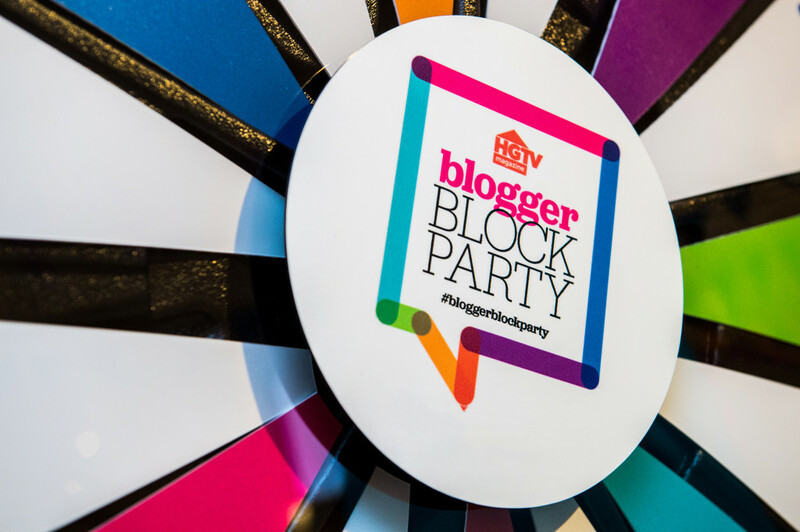 HGTV Magazine is hosting their 3rd Annual Blogger Block Party, here in NYC on August 22nd, and this full-day event is set to engage a coveted influential audience of designers, lifestyle bloggers and style savvy consumers who turn to HGTV magazine for all things creative. With live demos and access to highly talented creatives, last year’s event was incredibly impressive, drawing over 500 attendees and generating over 5 million social impressions! 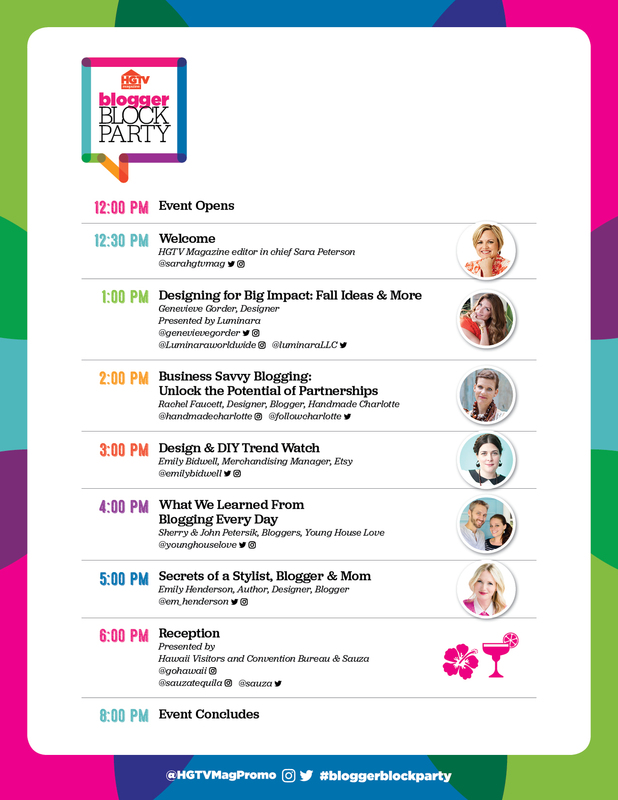 Check out the line-up of dedicated speakers below, including Emily Henderson, Genevieve Gorder, Sherry & John Petersik of Young House Love, Rachel Faucett of Handmade Charlotte and Emily Bidwell from Etsy. 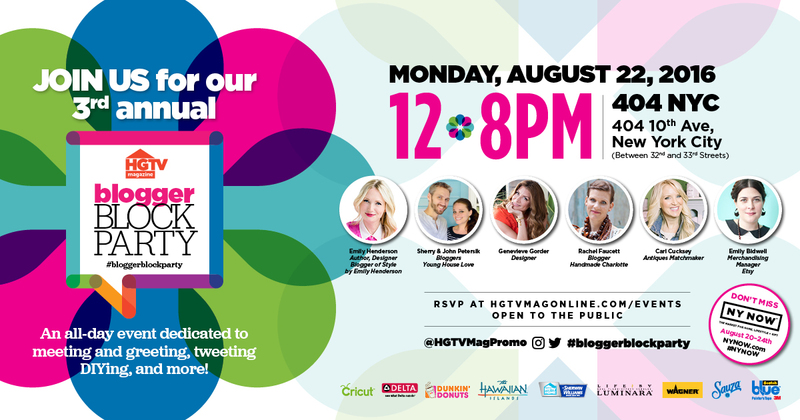 Make sure to RSVP here. I look forward to seeing you at the event and please note that it’s open to ages 18+, so grab a sitter if needed to fully enjoy a day of design inspiration!